What Are Food Allergy Labels? Food allergy special diet labels enhance patient safety. Health systems and hospitals use food allergy special diet labels to provide patients with the appropriate nutrition information and guard against issues with food allergies. Food allergy special diet labels communicate information on food allergies and other patient dietary needs. They help the clinical staff serve each patient’s nutritional requirements. 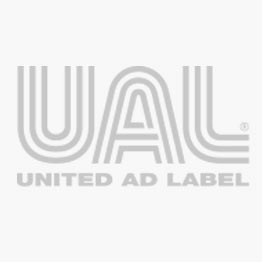 United Ad Label produces a wide variety of food allergy special diet labels including bilingual formats. The bright colors and unique shapes are sure to get noticed by food service and clinical staff operations. Dietary Services Label, 2-1/4" x 7/8"
Fluid Restriction Labels, 2-1/4" x 7/8"
Nutrition Communication Labels, 1-1/4" x 5/16"
Nutrition Communication Labels, 2-1/4" x 7/8"
Special Diet Labels, 2-1/4" x 7/8"